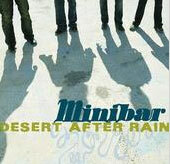 Alternative folk-pop rockers Minibar have a musical repertoire that certainly defines eclecticism. Formed in London in the mid 90's the band not only possess strands of native British elements but also West Coast California grooves as the groups now resides in L.A. This assortment of influences are superbly showcased in the bands debut work Fly Below the Radar which phases listeners with heart rending, enthralling music that definitely wets the appetites of those looking for both lyrical and musical depth. If Fly Below the Radar was an energy bar it would definitely be counterproductive although there are various points throughout that rock a little harder than the majority of songs. The power of the music stems from the amalgamation of serene folk and rock melodies, vocalist Simon Petty's David Gilmourish singing quality and the life philosophy presented in the form of contemplative and affecting lyrics. Ironically, the best of what Minibar has to offer on this CD is found on the last half of the disc' with selections such as Somebody Down Here Loves you, Badlands, Fragile and Snake Buckle Belt. Enjoy this wonderful CD when you really have a chance to listen.